It's been a month since Samsung launched the new Galaxy S family, including the Galaxy S10e, S10 and S10+. After reviewing all three newcomers and comparing them with the previous generation, there is a question worth answering. How does last year's flagship behave today? Is Galaxy S9+ still a valid device? Despite this year's slight redesign, the Galaxy S9+ does not differ so much from the Galaxy S10+. With the exception of the remarkably small edges and the two front cameras installed inside two holes, last year's device still recalls a rather modern style. In short, no drastic change compared to what happened with the arrival of Galaxy S8 and S8+ in which Samsung introduced for the first time its Infinity Display. Galaxy S9+ retains this familiar aspect to fans of the series and is certainly not something to complain about. Although the display of Samsung's current flagship device has been rated as the best ever mounted on a smartphone, this doesn't mean that the one on board the Galaxy S9+ is bad by any means. In fact, despite the smaller overall size of the panel, due mainly to more pronounced frames, both models share the same maximum resolution (QHD+) and a level of quality that is a pleasure for the eyes. It may have been a year but the Galaxy S9+ is still a very fast smartphone that can do all the daily tasks and even more. After all, we're only talking about last year's flagship device, not one from ten years ago, so this shouldn't be a surprise. 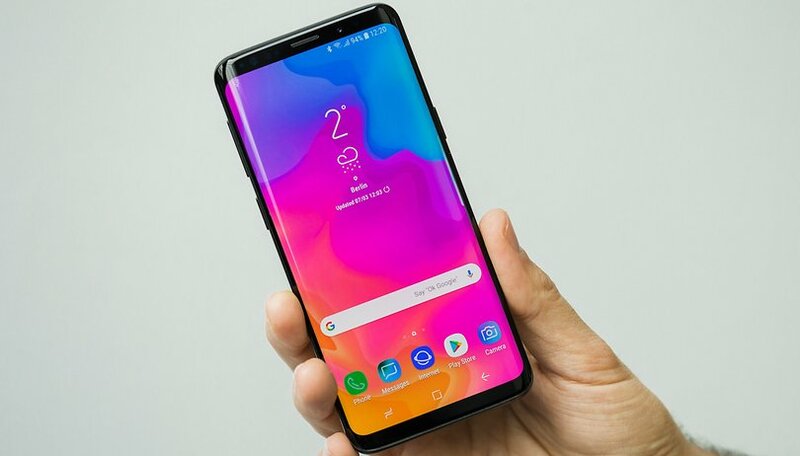 Although over the years you can not change the hardware of a smartphone, you can not say the same about the software, the only change that you can find on the Galaxy S9 and S9+ series compared to last year. In fact, you can now update the "old" flagship Samsung to Android 9 Pie, offered with the new interface customized by the manufacturer, the One UI. Compared to Samsung's S10+ this year, the Galaxy S9+'s battery life has never been satisfactory, despite its 3500mAh module. However, after the upgrade to Android 9 Pie and the move to the new One UI that allowed me to set a dark theme at the system level, some improvement has materialized, but do not expect miracles, of course. Despite its flaws, we are still talking about the best-selling Samsung smartphone series in the brand's history, and that's for good reason. In addition, taking advantage of the various promotions below cost, sometimes you can even buy it for less than $600, a great price for those who want a high-level Samsung device without scraping the $1,000 dollar barrier for a new flagship. not bad if you don't mind poor battery life, janky camera and buggy software experience. i had this phone for a week and returned it. Last year's flagship is always the best flagship to buy. It is a phone that will do everything for years to come and at 1/2 the price. I used the s9+ for over a year. I upgraded to the 10plus. But the price has dropped and is an excellent buy. I gave it to my wife and she loves it!